they really, really love cricket. And they really, really love it when they meet Australians when Sri Lanka have just knocked us out of the Champion’s Trophy competition in London. 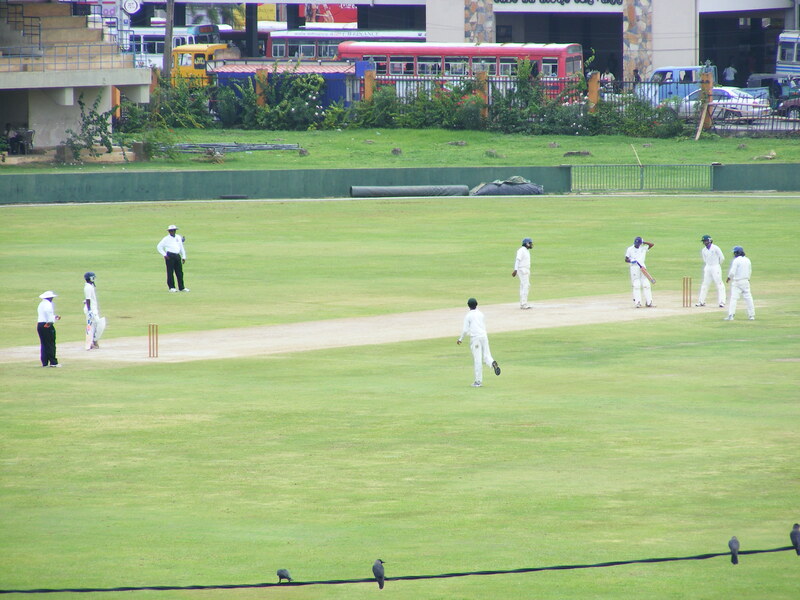 Galle Cricket Ground. We don’t like cricket, no! We love it! they have more public holidays than anywhere else in the world. A quick Google tells me this year there are TWENTY SIX public holidays. that’s just one day over FIVE working weeks. There is a public holiday (called poya) for every full moon. Our final day was Poya Day. There was no alcohol being served, shops were shut, temples were in full swing and there were tents set up along every road where they were handing out free food and drinks. the high country around Nuwara Eliya is very, very cold in June. We really should have chosen a guesthouse with heating. a 60 cent Third Class train ticket for the 3.5 hour trip from Nanu Oya to Ella is the best 60 SG cents you will ever, ever spend. 500 rupees slipped to a policeman will get you out of a fine for not paying the registration/road tax on your vehicle. 70 kilometres can take 2 or more hours to drive when you have to dodge tuk tuks, cows, pedestrians and buses. rice and curry is good. It’s very, very good. Rice and curry. 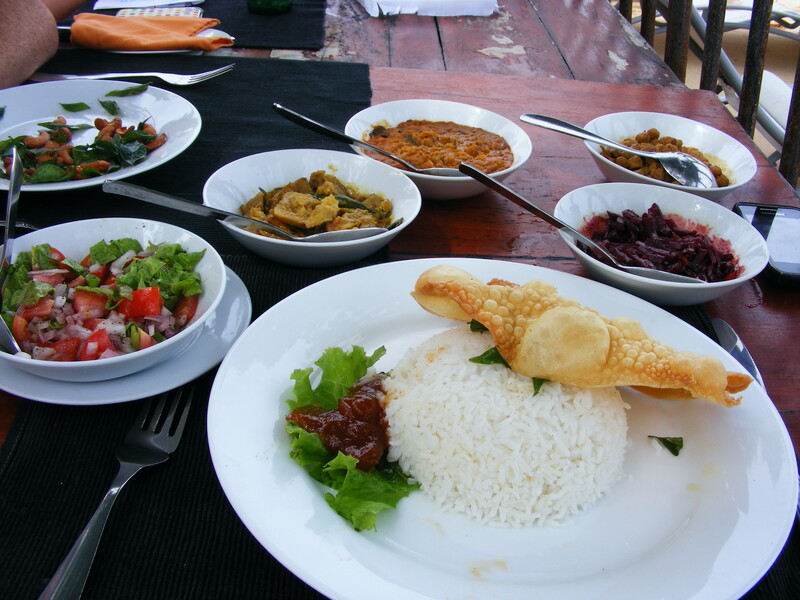 It’s always a minimun of 4 curries and a salad to accompany the rice. So good! not all milkshakes are equal. The missies were served milkshakes at the first 5 hotels we stayed at, but the fifth hotel brought milkshake consumption to a sudden, explosive end and scuttled our plans for a safari around Yala National park. Lesson learned. it costs nothing to smile, and Sri Lanka is a land of smiles. I think this struck me so much as Singaporeans are generally very guarded. When I smile at people as I walk along the street in Singapore (as is completely normal in Australia) they look startled and ready to call the police. Sadly, that’s not even an exaggeration. In Sri Lanka everybody you pass (unless it’s very crowded) makes eye contact and smiles, and if you’ve just lost to them in the cricket they’ll pass comment on it. Hanging out with friends in the waves.